As you know, our surveys are already anonymous, however, smaller departments may still worry about this. In such cases, we would recommend using our increased anonymity function. 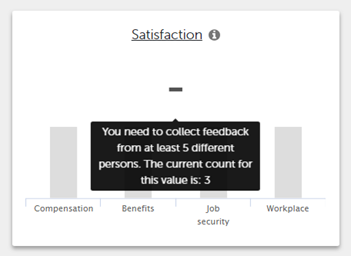 This would mean that a minimum of 5 people's feedback is necessary to enable any data to be seen. Furthermore, the individual "Feedback" section will be deactivated, ensuring complete anonymity. If you wish to activate this function, contact us at support@honestly.com and we will adjust your account accordingly. Find out more about creating a new survey here and about how to add employees here.